Hampton Inn by Hilton at the Falls is located in the center of the Niagara Falls tourist district right across from the Casino Niagara complex so you are right in the middle of things. 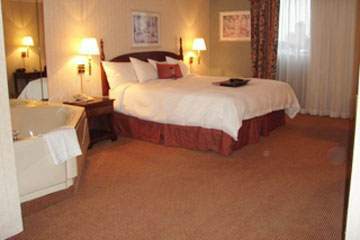 You are also treated to a variety of amenities so your stay really will be special. As part of the Fallsview Indoor Waterpark and Falls Avenue complex, you also have access to the Fallsview Indoor Waterpark. This may help explain its family friendly reputation. The excellent location is really wonderful. 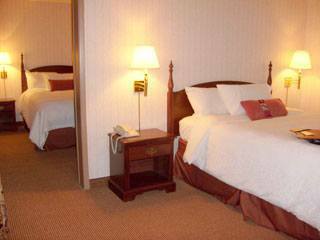 You are right across from Casino Niagara and a block from Clifton Hill and the actual falls.